Changzhou Xinggan Drying Equipment Co., LTD is located in Jiaoxi Industrial Town of Changzhou. Changzhou is one of top 100 cities in China while Jiaoxi Industrial Town is a famous town with beautiful scenery and convenient transportation. The company covers an area of 50,000 square meters, including a 38,800-square-meter workshop. 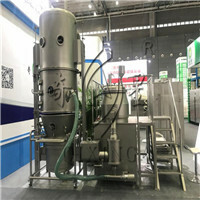 We mainly produce drying, mixing, granulating, dedusting equipment, etc. A variety of equipment we produced have been widely used throughout the world in the following areas: pharmacy, chemical, food, agricultural and sideline products processing, textiles, electronics, etc. Our company has been an important manufacturing enterprise in the drying industry for about 20 years. Our company regards the traditional drying technology as the foundation and the modern technology and production model as the direction, making innovation and research to provide customers with reliable and effective drying engineering solutions and high-quality product performance assurance. Our company also establishes a perfect after-sales service system – tracking and monitoring all products. The customers have shown positive response to our work. With demand of market, feedback of customer, and guide of era, "XINGGAN" strives to make our industry professional, efficient and large-scale. "XINGGAN" focuses on " Honesty-Oriented, Endless Striving for Excellence, Mutual Benefiting” to look forward to your trusts.